Share what you have learned about PRP as a patient or caregiver. Share what you have been told by your dermatologist. Share articles you feel might be worth reading or websites worth visiting. Whenever you have information to share, please send your “sharings” via email to editor@prpSurvivalGuide.org. The following conversation about SUNLIGHT began on January 18, 2017. The unedited version is available to members of the PRP Facebook Support Group. Has anyone had any experience being in the sun when you have PRP? My hubby covered up in the sun, light coloured and light to wear clothing. High factor on face and neck, and wore a hat. He found if he didnt do this he just turned redder and redder within minutes. Pre prp he was a sun worshipper and had a lovely bronze skin tone when out in the sun. I burn through clothes (sweats due to the “chill” of PRP), under an umbrella with SPF 100 on. Extremely sensitive. I also by the lisa sunblock. Before I knew I had PRP, they thought it was eczema for over ten years, the last two or three years if I went in the sun it wasn’t good. My skin would turn red and ashy within a short period of time. I avoid the sun now. I used to be out in the sun all day, every day… Before prp. Now I have to take vitamin D supplements. I can’t even spend much time on the beach and I live like four miles from it. Hopefully someday I will be able to tolerate the sun. I am heat and light intolerant thanks to PRP. So when it’s hot in the UK, I avoid the sun as much as possible and hang out in the shade/shadows! During the acute stage I kept covered with UVB protective clothes and hat while outside, which wasn’t often I was so weak. Now, I wear a nylon sauna suit to stay moisturizers so I don’t get a lot of sun. When I roll sleeves and pant legs up to get sun, I have no negative reaction. The problem is overheating because I don’t sweat. I would feel the sting of burning within minutes. I am hoping that this summer is better. I love sitting out by a fire, but had to wait until the sun went down. I have juvenile onset, 34 years with PRP. For me sun is good, alway being carefully, with sunscreen maximum protection since I am on acitretin. Every type is different, but my doctor always says uvb ray are good. Sun is my saviour. Clears me up then back to Scotland after lanzarote for a fortnight and it’s back. For Molly, juvenile onset, there is nothing better than sunlight. She starts clearing in days! She is very light skinned and always puts sunscreen factor 50+ on. 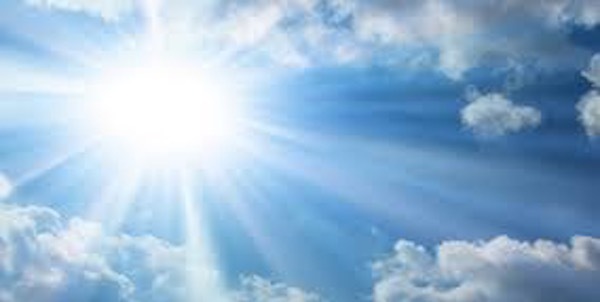 ✽ SEARCH (April 5, 2019) using the term “SUN“.